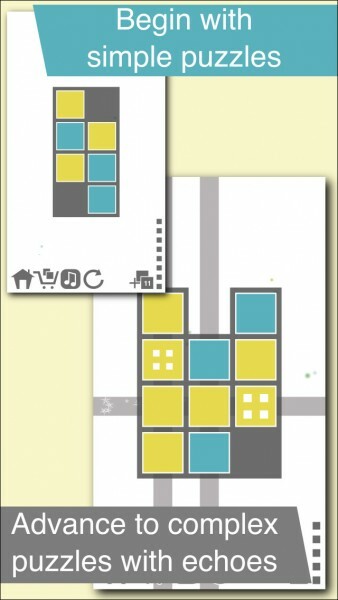 Tile Enigma (Free) by Pikaware LLC is a minimalist puzzle game that is sure to delight fans of the genre. It’s considered the digital equivalent of brain teasers, so be sure to have your thinking caps on for this one — otherwise you’ll be left scratching your head. It’s similar to other games like Noda and Dwelp. Ah, puzzle games — it’s definitely a type of game that I’ll never have enough of because they can be so different, but still stimulating enough for my brain. Even if I have a long day, I can always kick back and relax with a good puzzle, because it’s just a fantastic way to unwind and keep my mind busy. And I’m always on the lookout for new puzzles too, so when I saw the trailer for Tile Enigma, I knew I had to check it out. 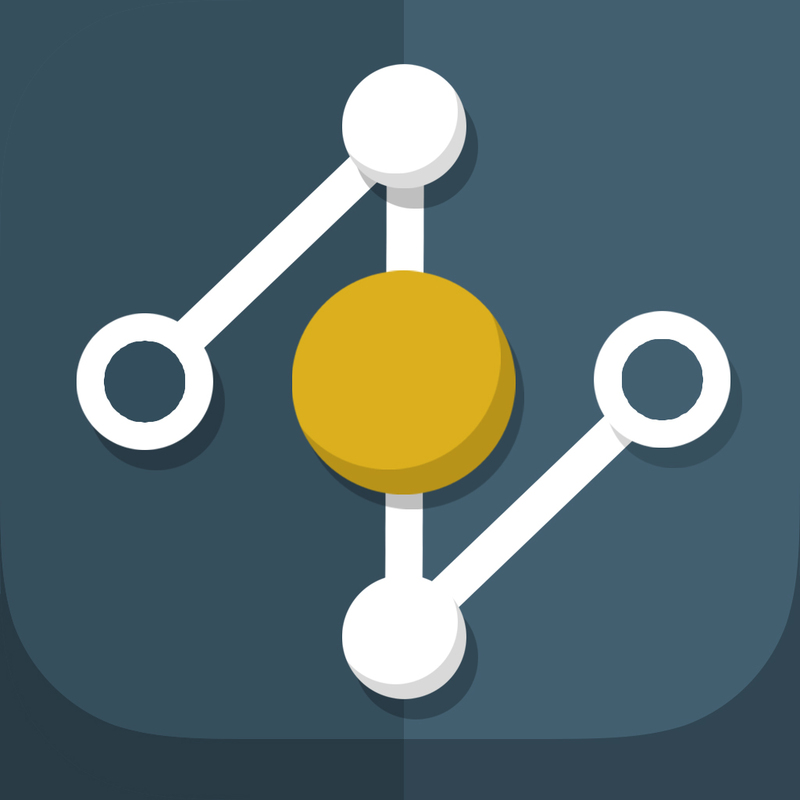 The visuals in Tile Enigma are minimalistic and beautiful, fitting in well with the overall aesthetics of iOS 8. Everything is flat with a bare white background, vibrant colors, and subtle particle movements in the background. Animations in the game are nice and smooth, with no choppiness or lag on my iPhone 6. The ambient soundtrack in this game is also delightful, and it will help you get in the mood to solve the puzzles. So what is the goal of Tile Enigma? Each puzzle consists of a grid that has colored square tiles in it, and you must fill in the rows and columns with matching color tiles to find and earn stripes. 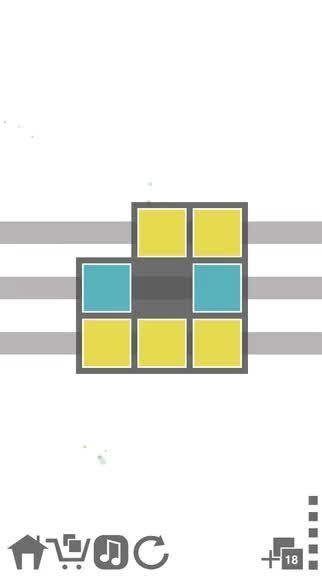 You have to find all of the available stripes before you can move on, and you only have a limited amount of moves for each stage. The game has five worlds that have 20 levels each, though you only get the first 40 levels for free with the initial download — the rest are unlocked via in-app purchases. Given that this game is fairly difficult, the 40 levels given to you is a good amount of starting content. 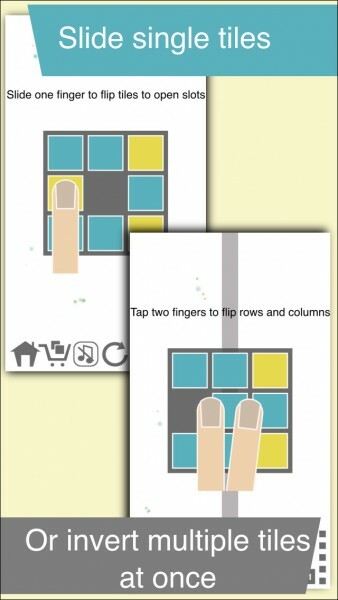 In order to fill in the rows and columns with matching tiles, you can do two things: slide a tile with your finger to fill an open slot, or invert a row or column by tapping two fingers on the line. 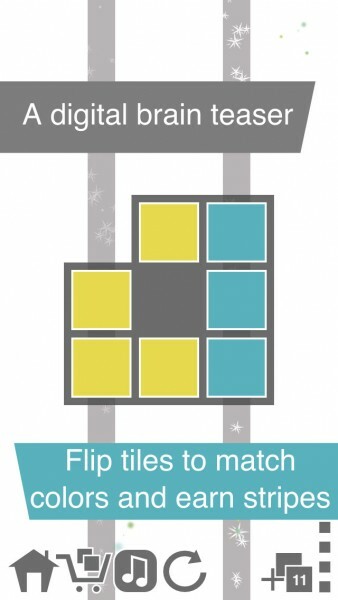 When you slide a tile, it will flip the colors as it moves. Eventually, as you get further in the game, you will have access to the Echo tiles in World Two, which flip neighboring tiles when activated, causing a cascading effect across the board. There will be new Echo mechanics introduced in each world, meaning three total to master. 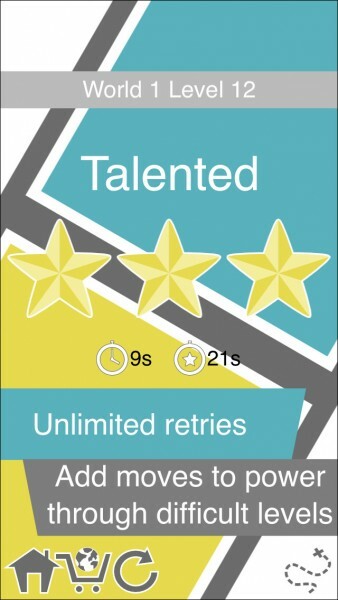 Players can earn up to three stars on each level, depending on how fast they complete the puzzle and the number of moves used. If you are stuck on a stage, you can add extra moves to your allotment when needed. This is done by tapping on the number in the bottom right corner — if you are out of extra moves, you can purchase more via in-app purchase. You can see your remaining moves for the puzzle as dots on the bottom right side. If you need to restart, just tap on the button — you can retry the puzzle as many times as you want to find the best solution without penalty. As a big fan of puzzle games, I must say that Tile Enigma does not disappoint. 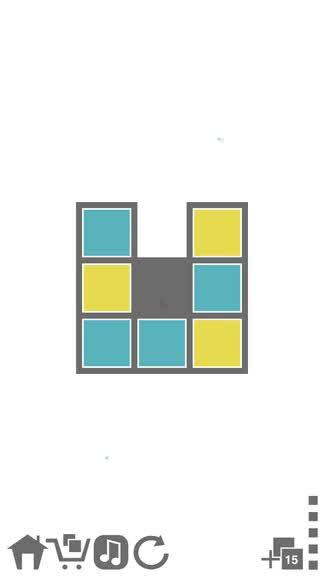 The minimal visuals are pleasing on the eyes, the music is soothing to listen to, the controls are simple, and the gameplay is challenging enough to keep you busy for hours. 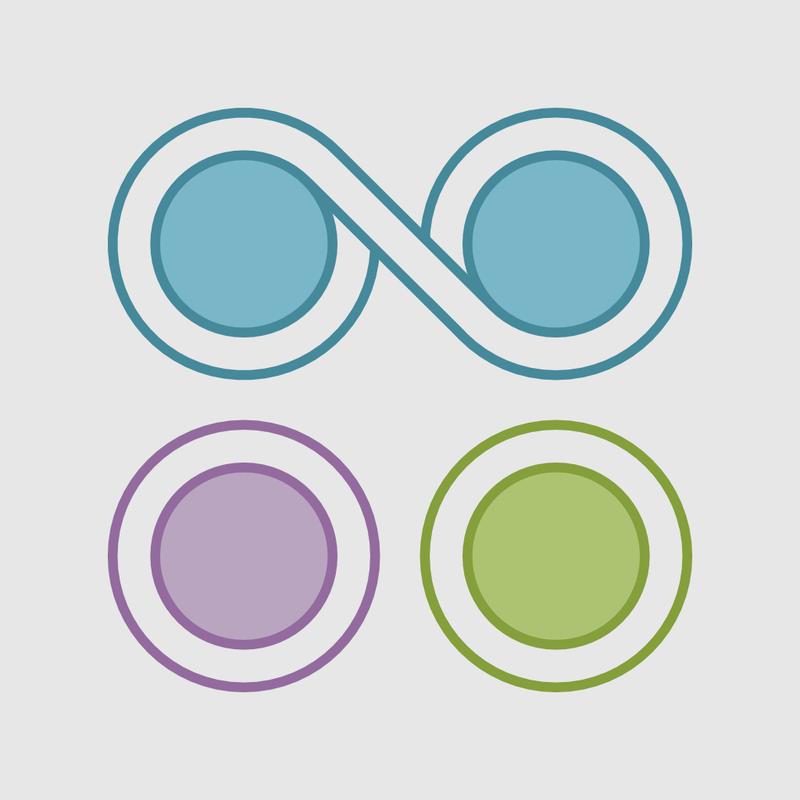 If you love stimulating brain teaser puzzle games, then this one is worth checking out. 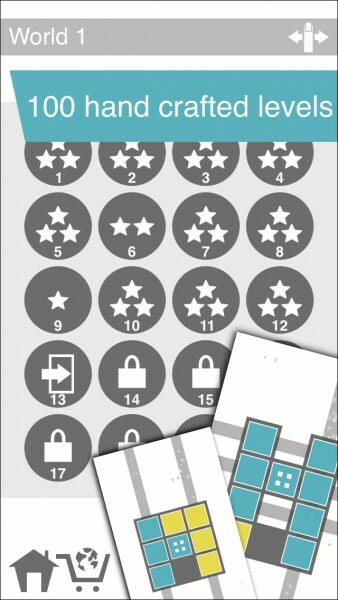 You can find Tile Enigma on the App Store as a universal download for free with in-app purchases.